The combination of the classic styling of Hoek Design, with the benefits of a performance cruising yacht. McConaghy Classic 67 - Ref 30505 has been saved to your account. Hoek Design and McConaghy Boats have joined forces to create a truly modern classic 67' sloop. The McConaghy Classic 67 is the big sister to the 57' and features classic Hoek styling with a hull optimized for fast cruising and a light filled interior outfitted with modern equipment. The 67 has the benefit of a crew berth forward. Built to McConaghy's high standards you will find all the detail one expects from McConaghy; optimized foils, carbon rig, carbon fiber reinforcement in the hull, through to superior joinery fit and finish. A semi-production yacht, the McConaghy Classic 67 can be customised to create a truly unique yacht that will stand apart from the rest. The extra space of the McConaghy Classic 67 allows for a crew berth positioned in the bow, complete with separate heads and shower. The Classic 67 takes full advantage of modern day materials to offer advanced performance and lightweight characteristics not usually associated with a classically styled yacht. This includes a composite hull reinforced with carbon, carbon steering wheel and carbon rig. 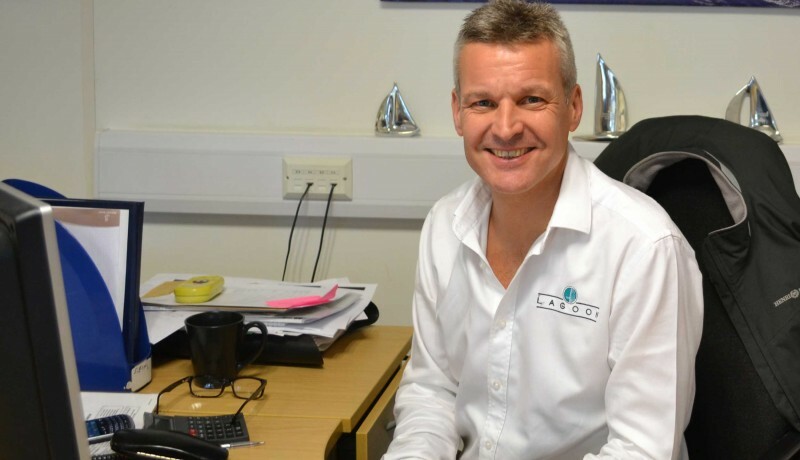 Graham has worked in the marine industry since qualifying as a marine engineer ’94, after which he ran the yacht sales and charter management division of a large charter company for 13 years. During this time Graham saw the explosion in popularity of catamaran sailing at first hand, so jumped at the opportunity to specialise in multihull sales for Ancasta in 2007. He has raced and cruised extensively on cats and monos of all kinds and has enjoyed two transatlantic crossings.